1. Axxim Manicures. You all know that I work for an orthodontist, right? Well, if you didn't, now you know. That means all day I am washing my hands and taking off and putting on gloves. With this is mind, I know a manicure is a waste of time and money because in one glove change all my money went, literally, right down the drain. The great thing about axxim is that it lasts until you want to change it. It is a gel base paint that is put on and cured via UV lights and is not going anywhere. Even if you wash your hands 5000 times a day, still super cute after 2 weeks. My fav local spot to get this is at Polished in Kansas City. Its a cute salon located in the Power & Light District, plus there is a Latte Land just a couple of stores down. 2. Black Swan. Holy Crap, have you seen this movie? If you haven't, where have you been? Go see it, even if you don't like ballet, or dance, or movies about ballet and dance. 3. The sensationalism of the news in Kansas City. Yes, news media, I know that it is going to snow. It is January for crying out loud. I live in the midwest, it snows here in the winter. I don't think I need to be told every 10 seconds that I need to "take cover!" or "go stock up on groceries!" Katie Horner, I know this, please move on to something more valid! Geez Louise! 4. Trench Coat, with an edge. 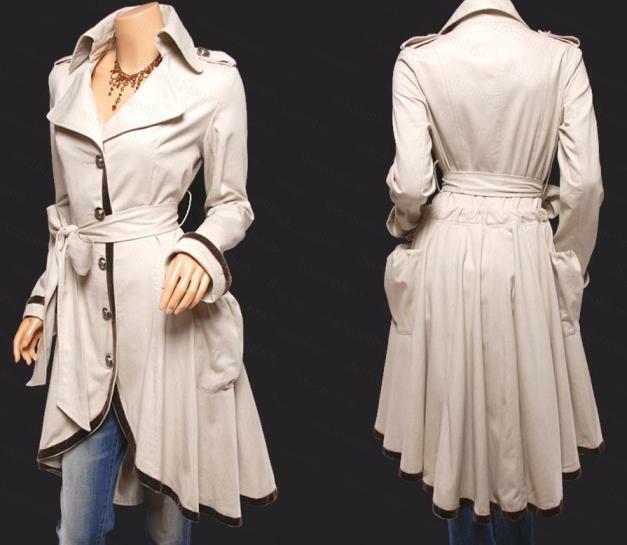 I am desperately seeking for a trench coat for spring. But, I want one with a little edge, or a little swing. 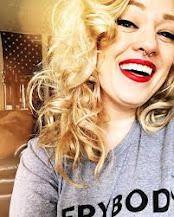 Here are a few styles I am loving. What is the one item you are coveting for spring? Maybe if we all wish hard enough the snow will pass! 1. Big Brothers Big Sisters of KC! I am on my way to becoming a Big Sister! I have finished my home visit, all applications, and am now waiting for my match. This is so great and really, I am very, very excited! 2. My return to love of 90's artists. I have sirius satelite radio and I love the 90's on 9 channel. With this realization, I have re-visited my CD collection and have fell in love with Fiona Apple all over again! 3. Shoe Dazzle. This site is amazing. My friend Amy told me about this and it is a way to get some fantastic shoes mailed to you (better than bills) every month. The shoes are very "on-trend" and you get a large selection to pick each month. First, you will fill out a style questionnaire and from that the site will generate your "style". It is pretty close to perfect. They also sell handbags and jewelry, but it is the shoes that I am after! If you are interested, shop around this site through this link so that I may get credit. It is free to look and you always have to option to opt out if you don't want to purchase anything. 3 tsp. COCOA POWDERED - we like NATURAL COCOA, but many folks use DUTCH COCOA, so either one will be fine. 1. A Fine Frenzy. Love her! 2. 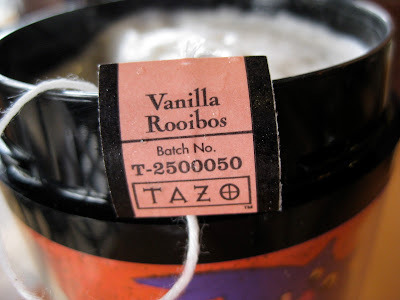 Vanilla Rooibos Tea Latte. Love it! Veggie Sloppy Joes This is one of my favorite recipes from Rachael Ray. It makes a lot, so make sure you have several people to feed! In a large skillet, heat the oil, one turn of the pan, over medium-high heat. Add the bell pepper, jalapeños, red onion and garlic and cook, stirring, until tender, 6-8 minutes. Stir in the black beans, cumin and coriander; season with salt and pepper. In a small bowl, combine the tomatoes, brown sugar and Worcestershire sauce. Add to the black beans and simmer for a few minutes. Stir in the lime juice. Serve the Sloppy Veg-Head Joe on the rolls. Top with the pickles and cilantro. Here are some wonderful goodies that I have been coveting this week. 1.Everything that Gwen Stefani ever has been and ever will be. 2. Michael Kors is a design god! 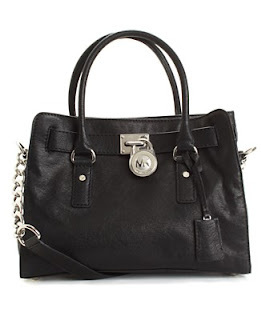 I am in love with this new handbag, and want it so, so badly. 3. MAC Cosmetics new VIVA Glam line. Inspired by Cyndi Lauper and Lady Gaga! Yesterday was the last of our "family" christmas trips. We ventured to Cameron, MO to see Tim's family. It was a good time and fun to see Tim's parents, sister and brother-in-law, nephew, and maternal and paternal grandparents. I got new bake and serving ware from my mother-in-law and father-in-law. I love it and cant wait to use it! I think the first thing I am going to make it on of my favorite "baked" dishes. Bring a large pot of water to a boil, salt it, add the pasta and cook according to package directions until al dente; drain. While the pasta is working, heat a large, deep skillet over medium-high heat. Add the butter to melt, then add the onions, bay leaf and thyme; season with salt and pepper. Cook, stirring occasionally, until the onions are light caramel in color, 15 to 20 minutes. Preheat the broiler. Discard the bay leaf. Stir the flour into the onion mixture. Stir in the milk and beef stock and bring to a boil. Cook, stirring, until thickened, about 2 minutes. Remove from the heat and stir in 1 1/2 cups cheese until melted, then stir in the mustard. Add the pasta to the sauce and toss. Spoon into a 9-by-13-inch casserole dish, top with the remaining 1 cup cheese and broil until brown, 2 to 4 minutes. Top with the chives and serve immediately.